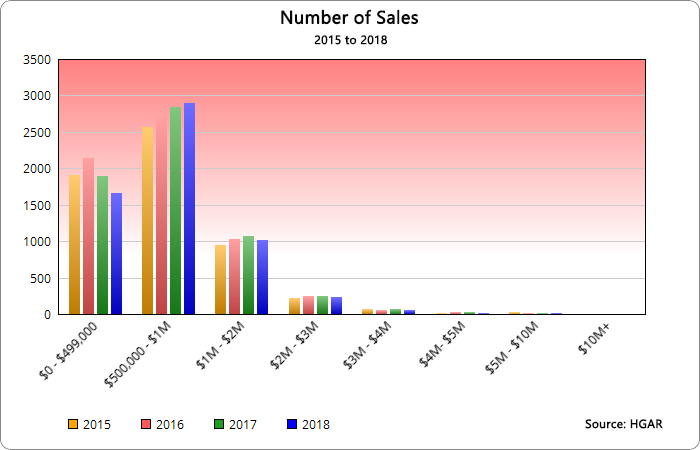 Real estate sales in 2019 are off to a busy start! There are definitely signs of a shifting market, especially at higher price points. Overall, though, the market feels healthy and there is a lot of action. We got a boost from declining mortgage rates; rates for a 30 year mortgage approached 5% at the end of 2018 and are now in the low 4's, which increases affordability and causes buyers on the fence to buy. Like in any market, pricing and condition are key. The most updated homes in the best locations are still selling and attracting lots of interest. I have been in quite a few bidding wars and have seen a surprising number of all cash buyers. There are still a lot of homes sitting on the market, though, and that is usually related to price. A bunch of people that I've spoken with are concerned that the economy is slowing down and are worried about the USA heading into a recession. Personally, I am not worried about a recession. On a daily basis, I help people buy and sell what is, in most cases, their largest asset. The overwhelming majority of my clients are confident in their job stability & their incomes; the reasons for their moves are varied and are not a view on the economy. Below is an interesting graph which shows what has happened over the past 5 recessions. I welcome your thoughts and questions & can provide additional information upon request. I continue to have big goals for 2019 and my business is referral-based. If you are reading this and have any needs related to real estate, please get in touch with me. I want to help you (and your colleagues, family and friends)! 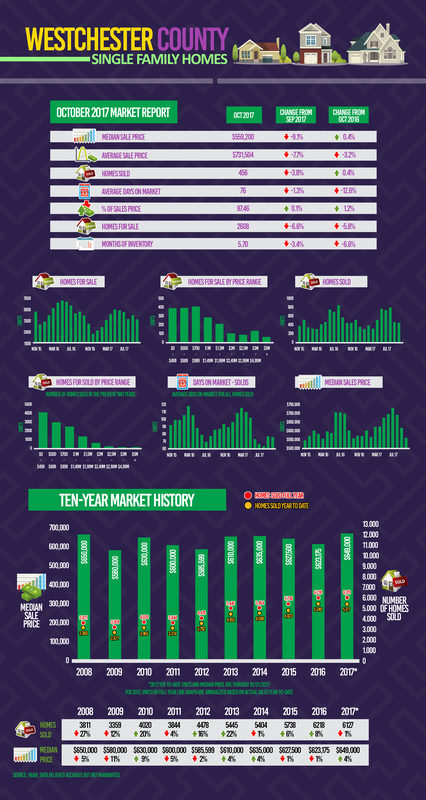 Westchester County real estate had a very interesting (and busy) year! Overall, there were almost 5,900 single family sales in 2018. In many cases, 2018 marked the year that the real estate market started to shift from a seller’s market to a buyer’s market. Nationwide, much of the focus the past few years has been on a shortage of housing supply (inventory) but began to build in June (see graph). Westchester saw inventory rise starting in April but for the year, inventory was down 2% versus 2017. In Westchester, inventory declined in every price range except in the $500,000 - $2,000,000 category. There are many explanations but I believe one of the main reasons is the federal tax plan, which limits the tax deductibility of mortgages to $750,000. We live in a very expensive part of the country and migration patterns show that population continues to favor states to the South and West. However, New York is still a magnet for high-paying jobs; United Van Lines recently conducted a study which showed that 60% of inbound moves to NYS were for job-related reasons. Fifty percent of those moves were for people aged 44 and younger with 67% making $100,000 or more. In 2018, the number of sales in Westchester County dropped by 4.7%. The biggest decline in sales happened in the $4 million to $10 million range. I the $500,000 - $1,000,000 range, the number of sales was up almost 2% (to the highest point in at least 3 years). Five homes sold for $10 million or more, as compared to 2 sales in the past 3 years. Almost every area saw their maximum selling price rise in 2018 vs. 2017. Westchester’s highest property sale was the $33 million Rockefeller estate. In terms of pricing, average and median prices rose slightly, 1% and 3% respectively. Among the markets that I typically cover, Harrison and White Plains were two bright spots: both saw a drop in inventory & an increase in the number of sales. Harrison average and median selling prices rose by around 10%; White Plains was closer to an 8% increase. It appears that the hardest hit segment of the market is in the $1 - $2 million price range. 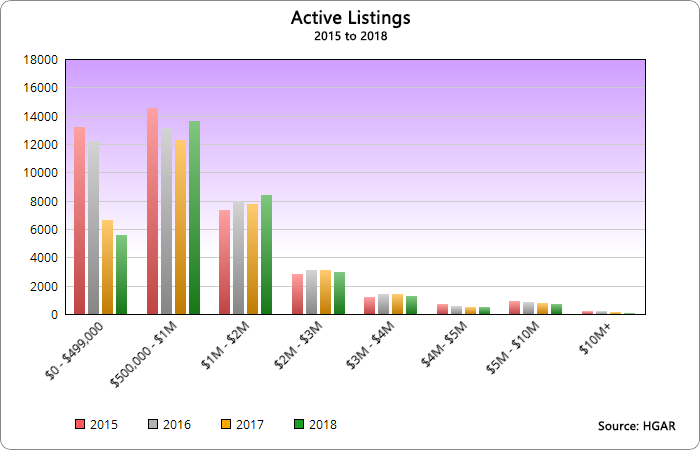 The number of active listings rose by 8% year-over-year while the number of sales dropped more than 5%. Scarsdale is an example of this; median list and selling prices dropped by 10% (and the number of sales were down 17%). With the recent tax changes & higher interest rates, affordability is something that increasingly concerns many buyers. At this time, I believe that we are in the middle of a re-pricing as sellers adjust to this new reality. It became more pronounced as 2018 wore on and in the second half of the year, the homes that sold were the ones where the sellers recognized that the market was shifting against them and priced their homes aggressively to appeal to buyers. It will be interesting to see how the market develops as we head into 2019. I expect prices to stabilize in most areas and have already seen a pickup in activity. 2018 was an excellent year: I helped more than 40 families directly buy & sell property and hope that your referrals will continue to fuel my business in 2019! Below are some highlights of the real estate market in 2017; it was a great year! Through your referrals, I was able to help more people than ever buy, sell and rent properties. My results put me in the top 2% of Westchester County real estate agents & I did eight times more business than the average agent! - Year-end 2017 inventory was down about 12% in all property classes. While that can change quickly, the demand picture is still intact and supply remains relatively low. - Many people have been on the fence about buying for a long time; the buying decision is not just economic and at some point, those people get on with their lives. - Millennials are starting to be a major force in the marketplace. Although they tend to buy at lower average price points, this does bring some stability to the market. - Interest rates are still historically low and as they start to rise, more people will want to buy (fear of a lost low payment is a powerful motivator). - I sense a lot of confidence from my buyers & sellers. The stock market & the economy have been strong and people are in a mood to spend. - Will the lack of deductibility (for state and local taxes) cause price declines? Almost 75% of Westchester homeowners have property taxes greater than the $10,000 limit. - Will the limits on mortgage and home equity deductions lead to weakness? Given the new $750,000 mortgage limit, 19% of Westchester homeowners had a mortgage greater than that in 2017 (compared with 4% nationally). 2016 proved to be a great year for Westchester County real estate! I helped more than 50 families & investors with their sales/purchases/rentals & ranked in the top 3% of Keller Williams agents worldwide (and Keller Williams is the #1 real estate company in the USA). Interest rates stole many of the headlines last year. 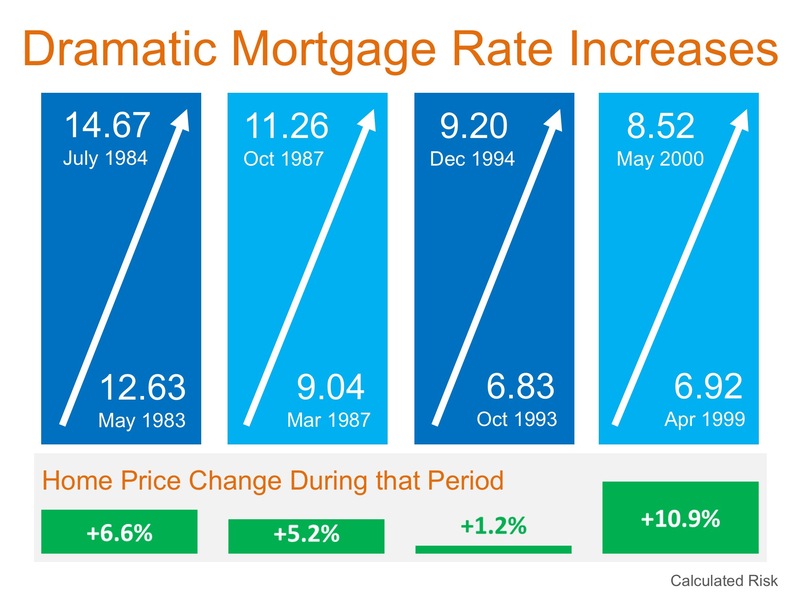 Freddie Mac has been tracking 30-year interest rates since 1971; the average interest rate over that time frame is 8.35%. As we all know, since the peak of the housing market, interest rates have dropped from about 6.4% to around 4% now. Although they increased quite a bit toward the end of the year, the average interest rate for 2016 was the lowest on record. Even as asset prices have risen, the cost to borrow has dropped enough to keep monthly payments in line. As interest rates begin to rise, though, affordability could become a bigger issue for many buyers. As I've discussed with many people, a general trend I notice is that higher priced homes are not selling as well as moderately priced homes. For example, below $1 million, inventory was down almost 17% while the number of sales was up by 8%. In the $3 - $4 million category, inventory increased by 20% and the number of sales dropped by 13%. Being on the market! If you are thinking of selling but don't put your house on the market, it will never sell. I have met with several potential sellers over the past few weeks who aren't sure about the market and are hesitating. I told them that the market hasn't been this good in 10 years and they better not miss the opportunity! Pricing is still very important. You cannot overprice a property and expect it to sell; buyers have so many tools available and they are very educated. With interest rates rising, purchasing power is eroding for many buyers. While that might cause people to buy (before rates go up so much that they have to buy a less expensive property), it generally won't lead them to may more than market value. I would welcome the opportunity to help you (the reader! ), your colleagues, family and friends with their real estate needs. I provide unbiased advice and will take great care of everybody you send my way. The Wall Street Journal just published this article on commonly mispronounced real estate words. Definitely a good read!